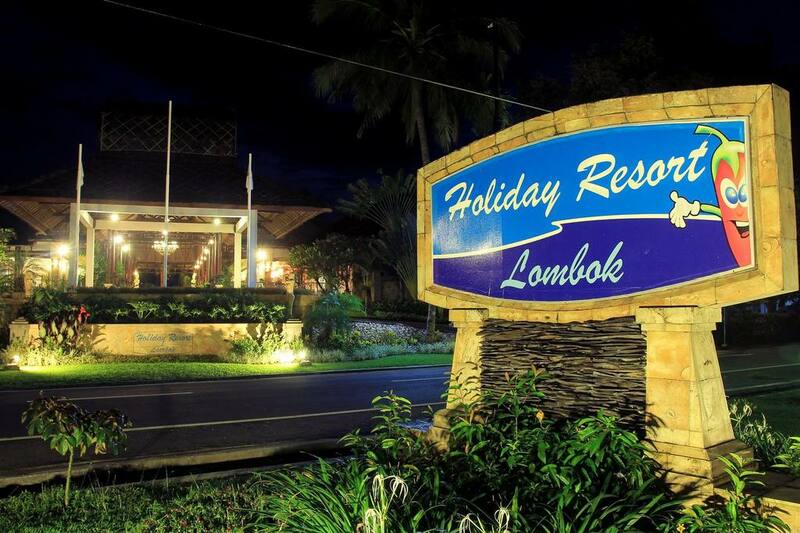 Holiday Resort Lombok is located along Senggigi Beach, a 5-minute drive from Senggigi tourist area. It features tropical surroundings and provides a pool and spa. Five dining options await guests. Accommodation include garden chalet, ocean view room, beach bungalow and family apartment. 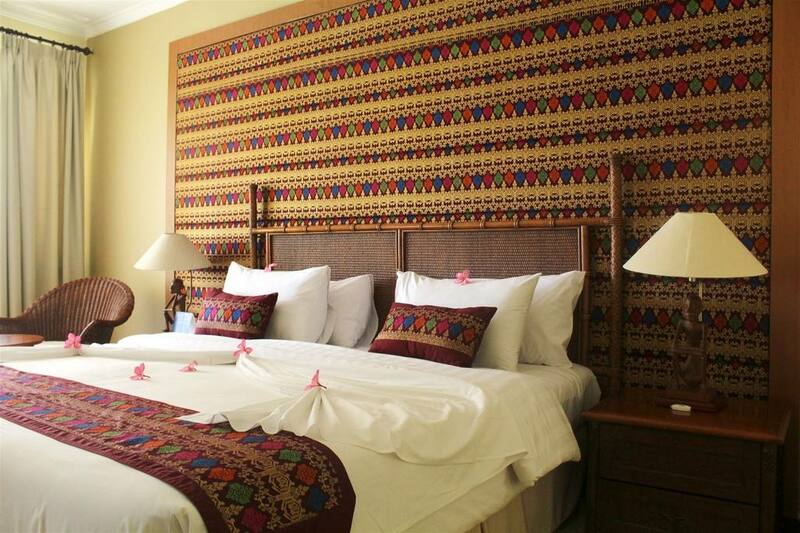 This true resort style hotel hugs the shoreline of Senggigi Beach and is nestled in tropical gardens. The modern facilities include comfortable standard chalets, garden view, ocean view and beach bungalows. Holiday Resort Lombok (formerly Holiday Inn Resort) hugs the shoreline of Mangsit Village, north of Senggigi Beach. The pristine beach is bathed by the Indian Ocean's crystal waters of the Lombok Strait. 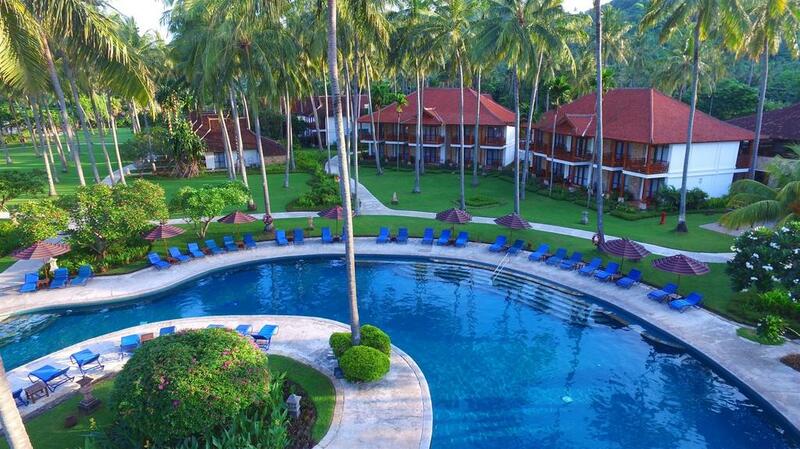 The resort is nestled among 5 hectares of palm studded landscape. Romantic sunsets and sea breezes are superb at this beachside resort, just 35 minutes from Lombok's Mataram airport. All rooms are either chalet or bungalow style with spacious balconies or garden terraces. Ground floor, king or twin beds, garden view, private outdoor garden bathroom & private garden terrace. 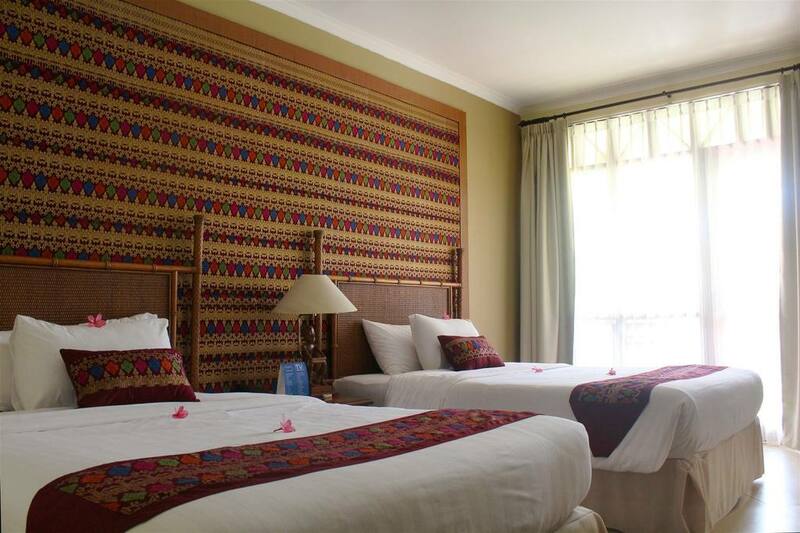 Main building, sea view, ground floor, king or twin beds. Beachfront, king size bed, sunlit outdoor private bathroom, sofa and lounge area in bedroom + terrace. 30 Suites with two bedrooms, living room, kitchenette, dining room, in-room safe, courtyard and terrace in landscaped garden. The hotel boasts a range of places to eat and drink. The Rinjani Terrace, specializing in the finest Western and Asian cuisine, Kayangan Catch of the Day Restaurant. Cidomo Fun Pub and the Sasak Lobby Lounge offer a broad range of dining and evening entertainment. The Berugak Meeting room caters for a maximum 100 guests. The Holiday Inn offers plenty to do. The Suasana Cultural Performance Stage gives regular performances and Kiddy club which features pony rides among the many activities. There are tennis courts, volleyball, billiards, mountain bikes a fitness centre, sauna and traditional massage is available. The hotel features a great pool with swim up bar. There is a beauty salon and a water sports shop in the small shopping arcade.